Pacific Building Systems – WELCOME! Home / Pacific Building Systems – WELCOME! Pacific Building Systems was established in 2006 as a corporate umbrella encompassing all our Pacific Group divisions. 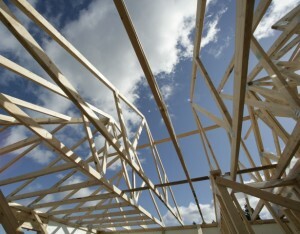 In early 2012 we decided that our Pacific Truss and Pacific Homes divisions needed to move to the forefront. Due to their growth, combined with over 50 years of experience in the building industry shading them under our umbrella was no longer an option. Our great service, value, quality, integrity and overall customer experience has not changed and we welcome you to visit our new websites and/or contact us for your building project needs. Service from beginning to end is fantastic. The quality of the product is second to none. I don’t know why anyone would build a house any other way. Greg and I would like to thank Drayson and the staff at Pacific Homes for the tour we took last Wednesday. We are very impressed with Andrew Hallet and all the Pacific Homes staff. Andrew has been excellent to deal with and so far everything has run smoothly. Thanks you so much. We were very happy – both with the product and the level of service from Andrew Hallet. Modifications to the stock plan were welcomed. Andrew had lots of suggestions and solutions to minor obstacles or queries. We felt that this was a company that was responsive to its clients and showed a genuine interest in their projects. Ken Thiessen’s service was excellent and we feel he went above and beyond to make the process easy and enjoyable. Jim Nichols, our building contractor, although not affiliated with Pacific Homes was also a great resource and advocate of your product. My whole life, I have always wanted to build a house, and I want to thank you from the very first day in your office, for helping this dream come true. I learned so much I can’t begin to list everything. I love my new home! Appreciated your field visits, it shows your interest. We liked that we knew the material costs of the home, along with the time we saved in having all the decisions made with one person. Overall everything was great. I’ve recommended Pacific Homes to many friends and clients as we were very impressed with the entire package! We can’t believe how quiet the house is and how economical it is to heat and cool due to the extra 1” insulation Ray Greene recommended. A very professional and informant as this was our first and only home building endeavor. Thank you very much!